Horseback riding is one of the world’s most popular activities. Much has been written about the various styles, techniques, and competitive events in the sport. 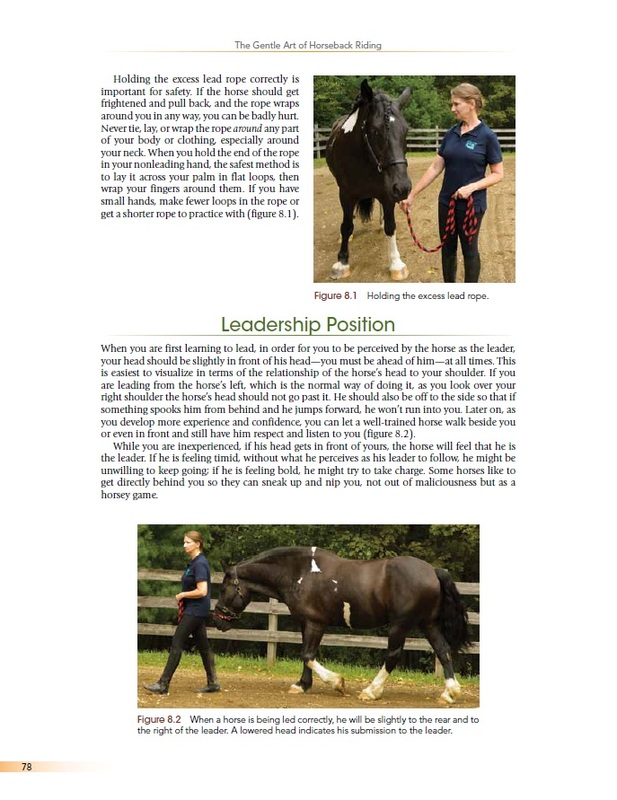 But all too often resources, authors, and even instructors neglect the most important and unique aspect of riding: the relationship between rider and horse. Whether you are just beginning or have ridden before, Bucklin’s methods can improve your skills and make you a better, more confident rider. Inside The Gentle Art of Horseback Riding, you’ll learn that the key to success at every level is understanding your horse and how to relate to him physically, mentally, and emotionally. This will help you advance more quickly, feel more confident, and have more fun. Gincy Self Bucklin has been teaching riding for more than 60 years. 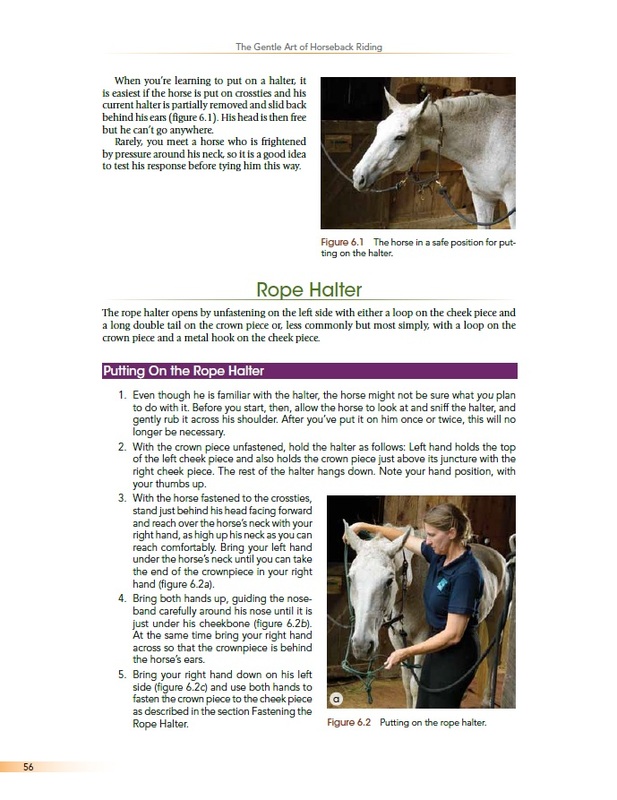 Her students have included recreational riders of all ages and levels, many of whom have also shown successfully and some of whom have become professionals themselves. While many experienced instructors teach only advanced riders, Gincy has also worked extensively with beginners and intermediates, believing that in order to be successful at the advanced level, riders must know and perfect the fundamentals from the start. She now works with instructors to share the teaching methods presented in her books. Gincy’s mother was well-known equestrian author Margaret Cabell Self. Gincy was also fortunate to grow up in an area that had many world-class instructors and clinicians, including Sally Swift, George Morris, and Nuno Oliveira. Some of her early instructors trained with European trainers during the 1920s and ’30s while the cavalry, where much of the equine knowledge was developed, was still in existence. Gincy is a retired Centered Riding instructor and is an American Riding Instructors Association level IV instructor. Gincy has been writing about horses and riding since 1987. She is the author of What Your Horse Wants You to Know, How Your Horse Wants You to Ride, and More How Your Horse Wants You to Ride. She has been a contributor to national horse magazines, including Equus and Horse Illustrated. 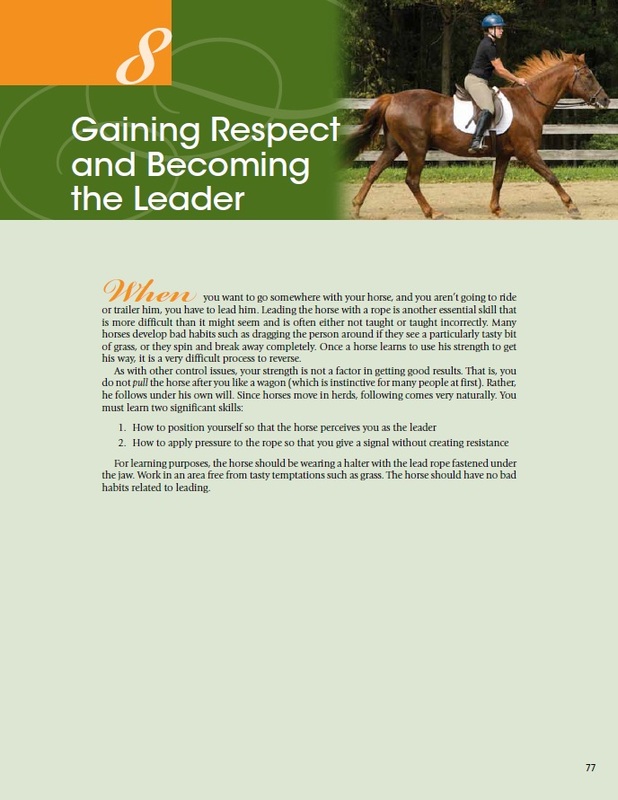 Currently she writes a regular column for Riding Instructor, the quarterly publication of the American Riding Instructors Association (ARIA). Gincy lives in East Dummerston, Vermont. "The Gentle Art of Horseback Riding will be a valuable resource for those riders who are not lucky enough to take lessons directly from Gincy herself." "Hands-on experience is the best teacher, and Gincy transmits this knowledge and experience through The Gentle Art of Horseback Riding. Anything Gincy writes is worth a read."